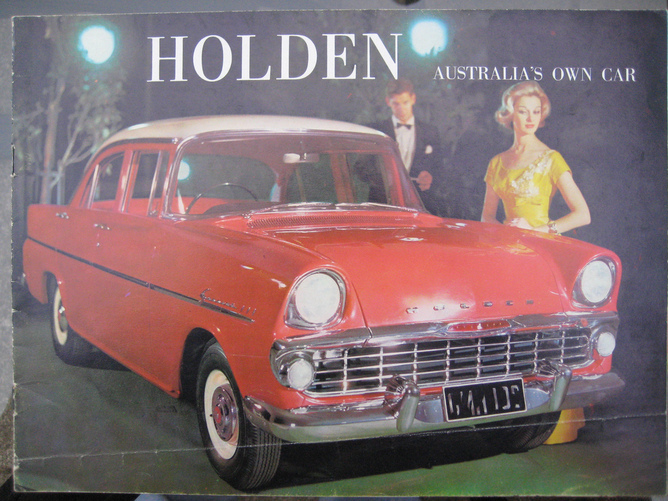 Why Holden is an aerospace opportunity. Politicians are scrounging for reasons to blame or deny the imminent demise of Australia’s automotive manufacturing industry. Automotive’s future script has been clear for over two decades since Dr John Hewson announced a zero tariff regime for automotive products in 1992. Indeed, the writing has been on the wall for the majority of Australia’s manufacturing industries for sometime, yet one industry is a clear performer. Australia’s $4 billion aerospace manufacturing industry is a minnow when compared to the automotive industry, but it still employs more than 14,000 people. Subject to aviation’s global fiscal uncertainty, it still continues to grow delivering consistent profit and growth as other industries shrink. This opportunity presents a test of commitment. With thousands of skilled automotive workers searching for work, up-skilling them for aerospace manufacturing would be far cheaper than training a worker from scratch. The technological efficiency demands of commercial and military operators require it to constantly adapt and recreate. This doesn’t happen overnight, aerospace plans decades ahead and the support of significant capital investment provides a certain guarantee of longevity. Substantially larger capital investment also means aviation has a better capability to absorb the cost of an expensive workforce, an Australian reality. Australia already holds commitment for multiple, secure aerospace programmes over the next 20 years, including: Boeing’s Aerostructures Australia’s (BAA) $4 billion 787 component supply programme, and position as continued sole supplier of 737 ailerons; GippsAERO new Indian-owner Mahindra has committed to development of the GA-10 and GA-18 programmes, with the appointment of 14 new dealers to support expansion into markets in the Americas, Europe and South East Asia; and, F-35 component supply. Further, production locations for Boeing’s next generation 777X programmes remain undetermined – wherever it lands will deliver billions in economic activity – presenting an opportunity for BAA to be a significant programme supplier. The F-35 support programmes will continue for the foreseeable future. And, if Tony Abbott signs a new Australia-China free-trade agreement (FTA) it presents considerable opportunity for an aerospace partnership with China’s largest manufacturer COMAC. A genuine commitment made today to aerospace industry development and training support could see the number of manufacturers and component suppliers grown well above the 834 that exist today. As manufacturers and suppliers increase, planned training programmes could see automotive workers transition over the next three to four years as automotive shuts down. Ultimately this growth, supports technological leadership and increased economies of scale, reducing the disadvantage of our distance and cost of doing business. With the right policy, planning and support, Australia’s new government could deliver a mini industrial revolution of sorts – this time in aerospace. The government needs to look forward, continued bickering only promotes the supposition that Australia is devoid of opportunity. Could aerospace be the opportunity? Our capabilities have been demonstrated, yet seemingly neither side of the political spectrum wants to recognise it.